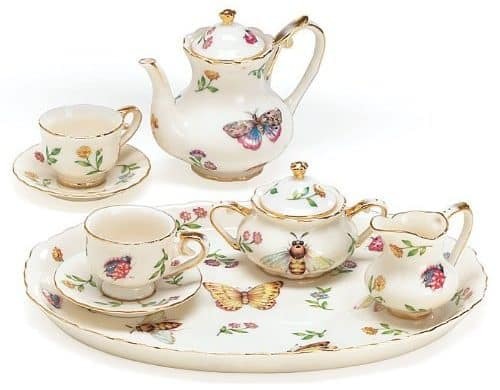 Collection of the best childrens tea sets for the modern home. Includes wooden, tin and eco friendly tea sets for kids and toddlers. All available on Amazon Prime! My daughter was 18 months old when she started to ask me to fill up her tea cups with water, her with a smile and happily slurping it down (and then immediately asking for a refill). She saw Mom drinking tea every morning and afternoon, so when she wanted to be part of my daily rituals, I welcomed it. I’m pretty excited that in a few years I’ll finally have a tea house partner! 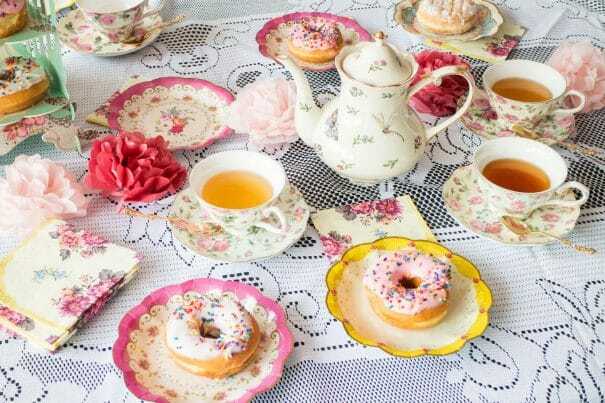 Check out my guide on how to throw a tea party! For now though, tea parties exist in our house, usually on a cozy blanket or her play table. When I was searching for her first tea set, I wanted to get her something special that would last over time. In my heart, I hope that in 20 years, she finds her tea set hidden in storage and I get to tell her stories of how we used to have tea parties, together, with her stuffed animals, and they would just make my day! Learn how to cook PERFECT Indian Basmati Rice Recipe in under 30 minutes! 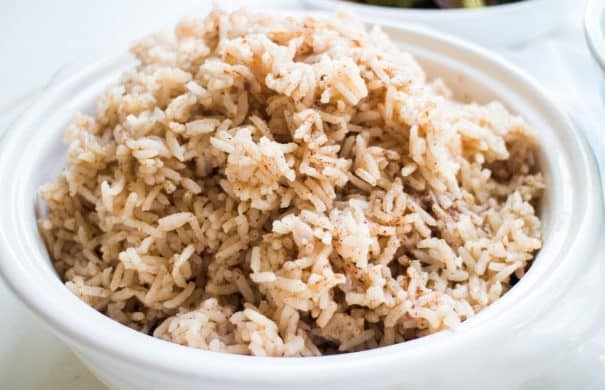 This easy basmati rice uses fragrant spices to create authentic tasting Indian rice. Pair it with roasted vegetables to make a healthy, vegan meal for dinner! I love Indian food. The problem is that I don’t have any experience with Indian cooking, or traditional Indian spices so I was always scared to try cooking it in my own kitchen. Instead I forked over the money for Indian take-out, wishing I could make my own! Finally, I decided I was going to learn how to make Indian Basmati Rice! And I’m so glad I did! How authentic is this recipe? It tastes so much like our favorite Indian restaurant that Matthew thought I bought it from there! And here’s the best part – it’s so easy to make! You can be a total Indian food cooking newbie and totally nail this basmati rice recipe! You sure can! Enjoy this soup! Easy recipe for SLOW COOKER Broccoli Cheese and Potato Soup! This family favorite soup is cooked on high in the crockpot for 4 hours! The end of November brought cold weather and rainy days. Because of the added layers to stay warm and the drizzle of rain it also brought a laziness to the dinner table. I’ve been stuck in a dinner rut the last few weeks making easy and quick meals. It usually gets to dinner time and we’re both too tired to really think of anything new so it’s something simple. Easy to make Asian marinated cucumbers! 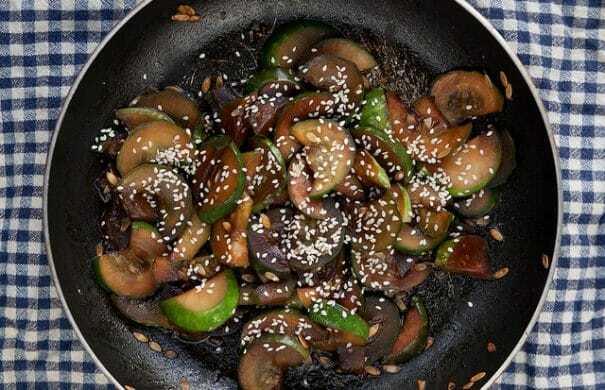 This healthy recipe is cooked in 10 minutes. My family loves it served over rice or with chicken. If I showed you my refrigerator right now you’d gasp at the amount of mason jars full of pickles. There is alot, it’s kinda frightening at the amount of pickles that are in there. You would think I’m hoarding pickles for the apocalypse. Because I can’t fit any more pickles in my refrigerator and I have run out of mason jars I got to thinking what else I could do with our garden cucumbers. The only real thing I do with cucumbers is make pickles, but they are a vegetable that I compare to broccoli or peas, so why not marinate them just like I do with those? Asian Marinated Cucumbers is where the party is! 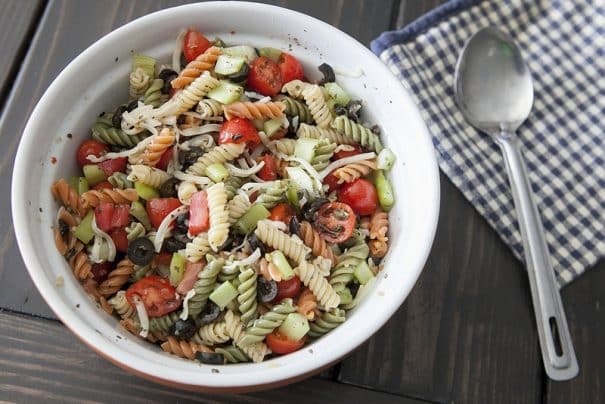 Easy recipe for the best tri color pasta salad! 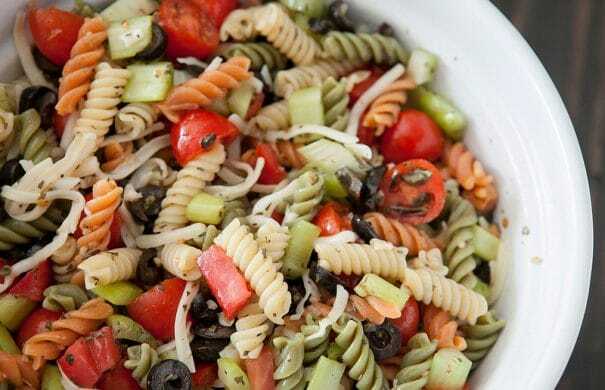 This is the perfect Summer time salad that uses Italian dressing, fresh vegetables and rotini pasta! The great thing about pasta salad is once you have the basics of pasta, salad dressing, herbs – the vegetables are really up to you. There needs some type of tomatoes (I prefer halved grape tomatoes). There needs to be celery chopped up. What else? Well that’s up to you. You can add carrots. You can add onions. You can add broccoli. You can add chopped up cauliflower. You can can add black olives (yum!). Hey Alycia, months! Just make sure to keep it in freezer safe containers or bags. 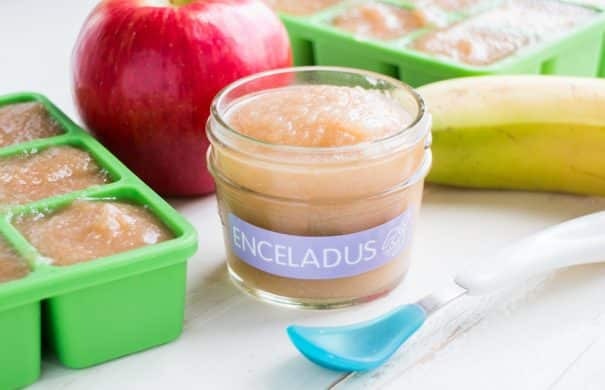 EASY TO MAKE Apple, Pear and Banana Baby Food! 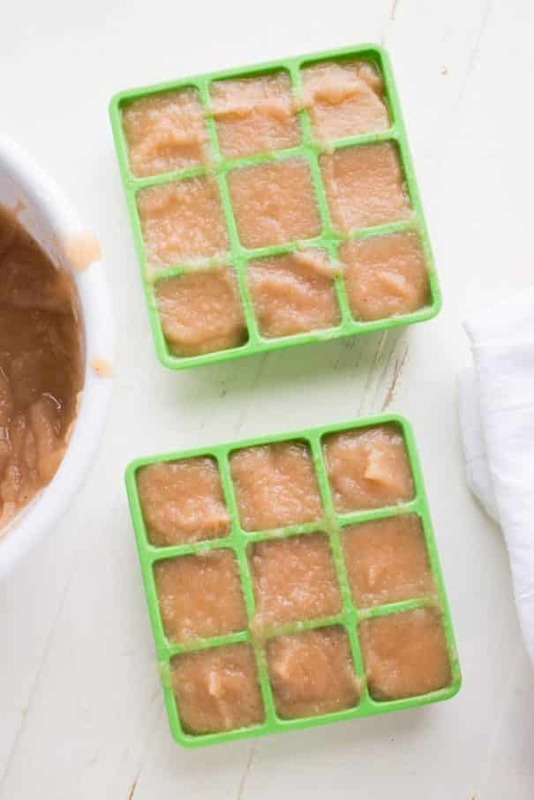 This homemade baby food recipe makes 64 ounces of baby food for only $10! This simple puree uses fresh fruit that your baby will love! Follow this DIY on how to make it and info on freezer storage! This is my 7 month old’s favorite Stage 2 puree! Ok, I can’t help it, I’m obsessed with making baby food. Did you think that this vegetable garden loving Mama wouldn’t be making baby food? I love to puree fruits and vegetables in the kitchen and watch Enceladus react to first tastes! If you love cooking, then you understand the amazing feeling one gets when you serve friends or family a home cooked meal. When placing the food on the table in front of your family, you are essentially saying “I love you!”. So imagine my excitement when I’m cooking for my baby! 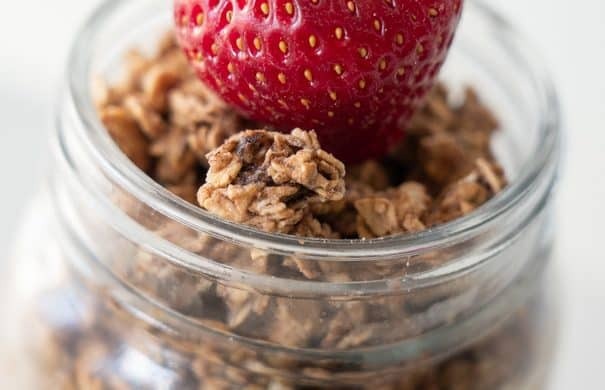 Chocolate Strawberry Overnight Granola is a healthy easy breakfast idea for toddlers that the entire family will love. This recipe is made by Mom, tasted and approved by my toddler! Similar to overnight oats, but made with granola instead! This post is sponsored by Back to Nature. Is there ever enough time in the morning? I say no. Throw in a toddler who won’t put on her coat, and requires a drop off at daycare, then it feels like every morning is a rush to get out the door and get to work. What would make the mornings easier? If my toddler would just let me put on her coat! Seriously. Please just stop laying on the ground with your arms glued to your side. Please for your Mother’s sanity! An easy and delicious breakfast for the entire family to enjoy! 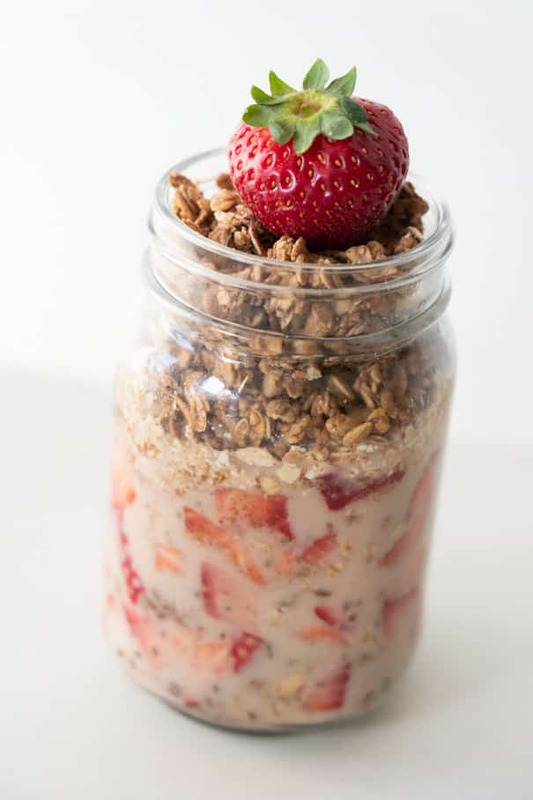 Let me introduce you to our current favorite breakfast: Chocolate Strawberry Overnight Granola! I hope everyone is doing great! It’s been ages since I did a weekly catch up post, but I thought I’d try to start doing this again. This gives a glimpse on what’s happening during my week, but let’s be honest, it’ll mostly be food, and pictures of Enceladus (or pictures of Encealdus’s food!). Last week we headed to Los Angeles for Reed + Rader work, and while we were there we had a few days to explore with Enceladus. We went to playgrounds, ate lots of tacos, went on a date without baby (it involved tacos too), had a video shoot and much more. The flight to Los Angeles was kinda terrible. 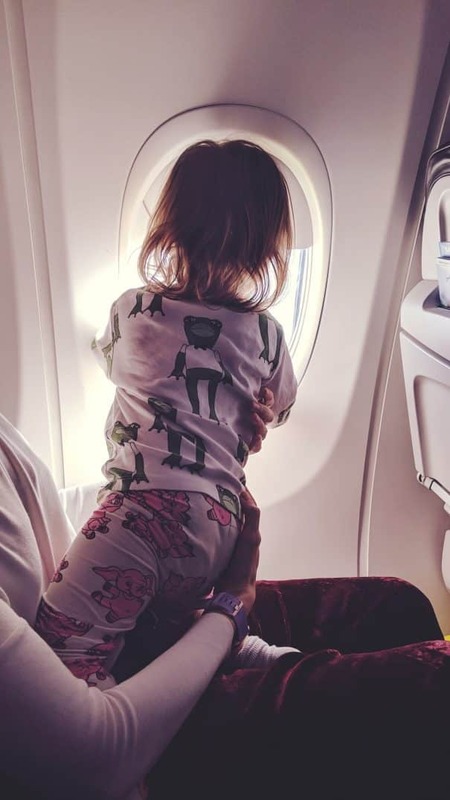 Flying with a toddler is hit or miss, and she was pretty finished with the flight while we flew over the Midwest. She was happy when we finally landed and got to stretch her legs. I was also happy to get off the plane so we could get her in a better mood. 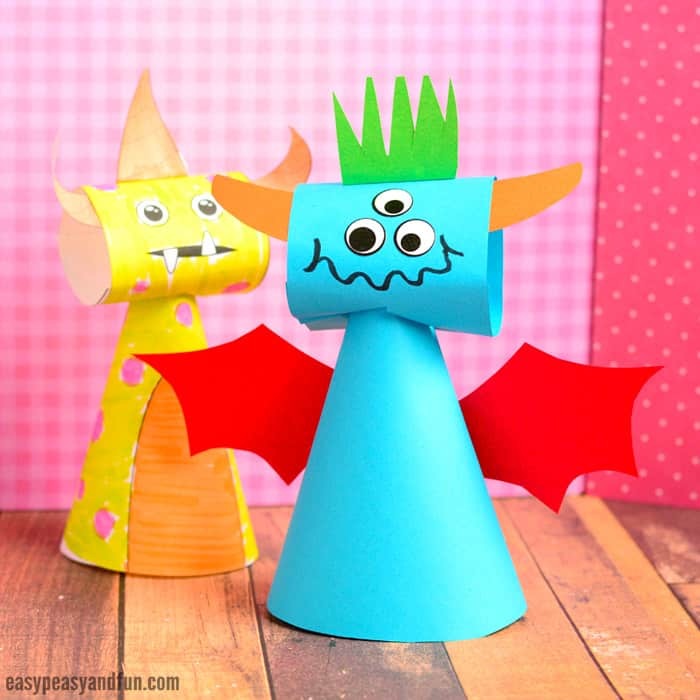 20 Crazy Easy Monster Crafts for Kids! 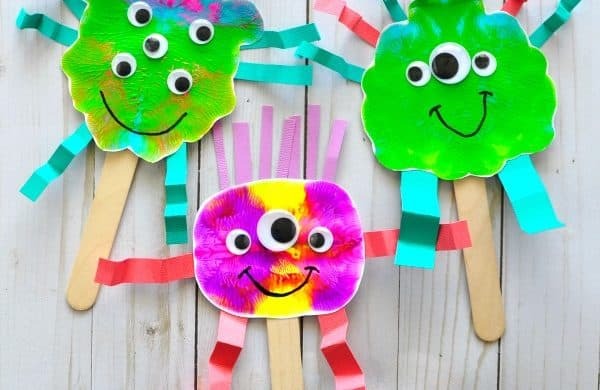 Monster loving preschool toddlers and older kids will love these fun DIY crafts! 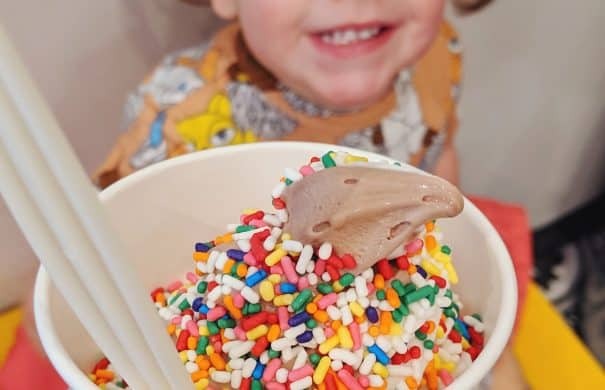 Even better for Mom – there’s not too much cleanup involved! Monsters are kind of a big deal in our house, so that’s why I’m excited to share with you 20 CRAZY EASY monster crafts you can do with your kids! Toddlers, Preschoolers, Kindergartners and older kids will all put their own spin on these fun DIY projects! Before you leave check out my favorite watermelon crafts and outer space crafts! This is so easy! Thanks for sharing! 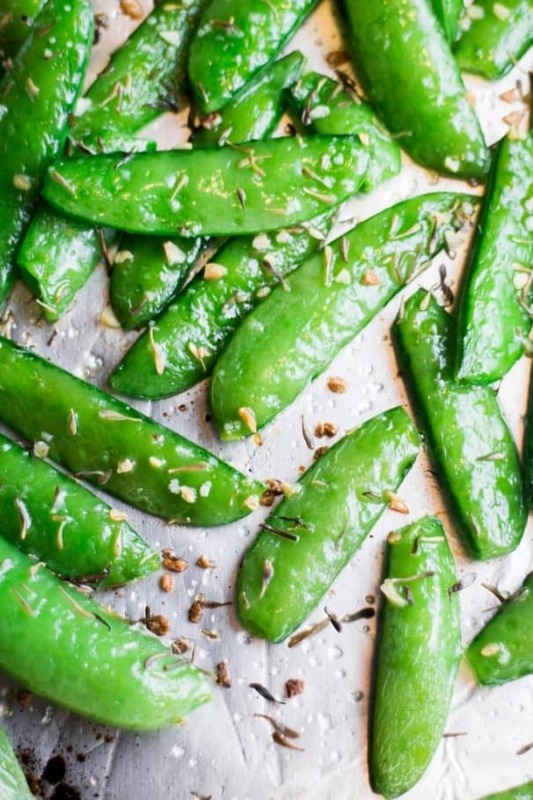 HEALTHY Roasted Sugar Snap Peas Recipe are easy to make and ready in 8 minutes! Sprinkle with garlic, thyme and salt for a healthy snack! 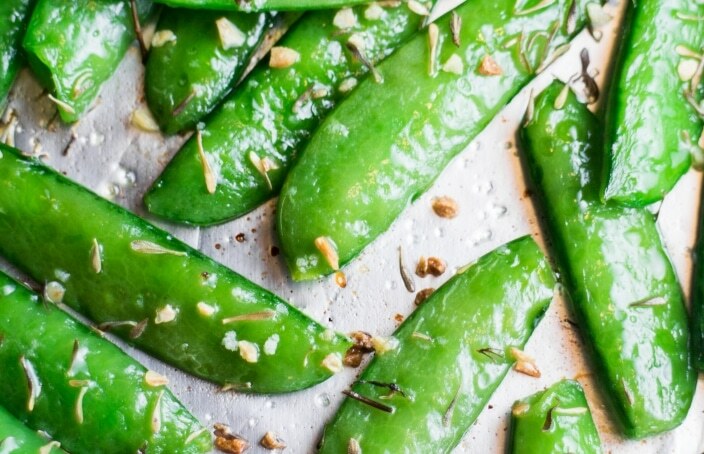 Adults and kids both love this easy delicious pea recipe! It’s a bit funny that I’m posting this recipe just as about we’re to tear up our green beans and plant our next batch of sugar snap peas. Soon our boxes will be cleaned out with long beans and the sugar snap pea seeds will be put into the ground. Then we’ll start the watch of seeing the peas grow from sprouting from the ground to seeing who can make it to the top of the fence first. Every year we grow sugar snap peas twice because we just can’t get enough. They are a favorite crunchy snack but they also go hand in hand with some of our favorite meals. Give me some sugar snap peas, pasta and a little olive oil and you got a big bowl of happiness. Cheesy Scalloped Potatoes Potatoes Recipe just like my grandma used to make! They’re so creamy because they’re made with Cream of Mushroom Soup! My family declares this their favorite homemade cheesy casserole! Family Friendly – Kids and Adults will both love them! So they’re kinda the best! We’ll be having our first Friendsgiving dinner this Friday and I’m so excited to see friends and eat all their yummy casseroles, side dishes and dessert. I’m also pretty excited to share this Cheesy Scalloped Potatoes casserole with them (and you!) as it’s a family favorite! To me holidays are all about side dishes. I absolutely love them! Sure, during the holidays turkey is nice, but those potatoes, green beans, stuffing, rolls and pumpkin pie… load me up! Those are my favorites! I'm glad this helped you - thanks for commenting! 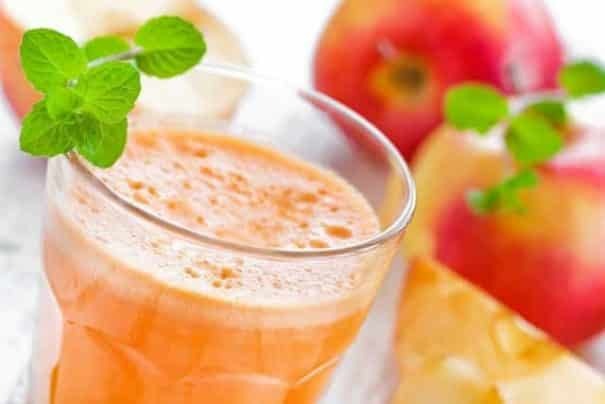 How to Make Apple Juice with a Juicer! Easy step by step instructions on how to make fresh, healthy apple juice with 1 ingredient. Save this recipe for when you go apple picking – it’s so good for you! Also includes how to freeze juice! I thought about doing this post and thought it might be too simple, but simple recipes are always the best right? So I decided to do it, so here I am. Hello. I love fresh apple juice bought from the farmers market stands. Last year I got my hands on a juicer (thanks Dad!) and ever since then I’ve been livin la vida juicing! When we went apple picking last year I spent hours making cider over the stove, simmering it and adding spices, and yes it was delicious – but it was a long process. No, you only need to add 1 cup chicken broth. Enjoy! EASY SLOW COOKER Kielbasa and Cabbage recipe! Throw Beef Kielbasa, Cabbage, Onions and Potatoes in a crockpot and dinner will be ready in 6 hours! 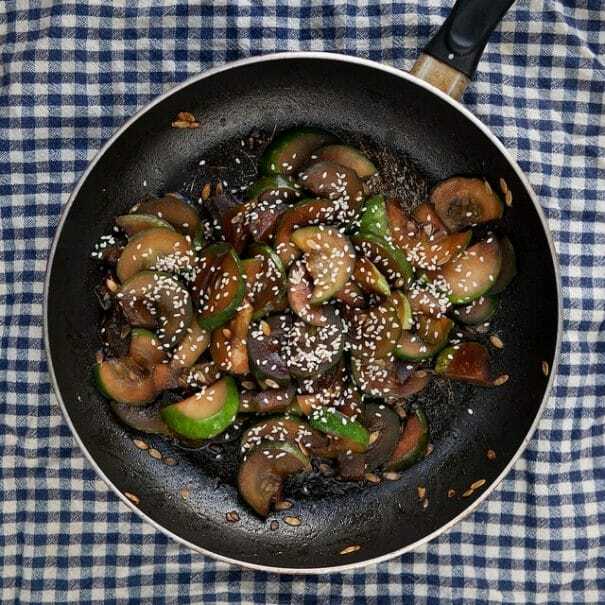 I serve this healthy dish over egg noodles with rolls – my family LOVES this comfort food meal! I am back with another slow cooker meal! Even though it’s not even Fall yet, I’ve been loving my slow cooker this Summer! It’s been a life safer to have a delicious dinner ready when time management isn’t on my side! With a beautiful cabbage picked from the garden, I was contemplating what I should do with it. Recently we’ve been loving Slow Cooker Green Beans, so I decided to throw the cabbage to in the slow cooker too! Boom – this Slow Cooker Kielbasa and Cabbage dish was created! Besides cabbage, throw in potatoes and onions to your slow cooker, alongside some beef kielbasa. I’ve made this kielbasa and cabbage slow cooker recipe a few times in the last month and we love adding carrots in it too! The ingredients are incredibly simple, you might already have everything in your kitchen!